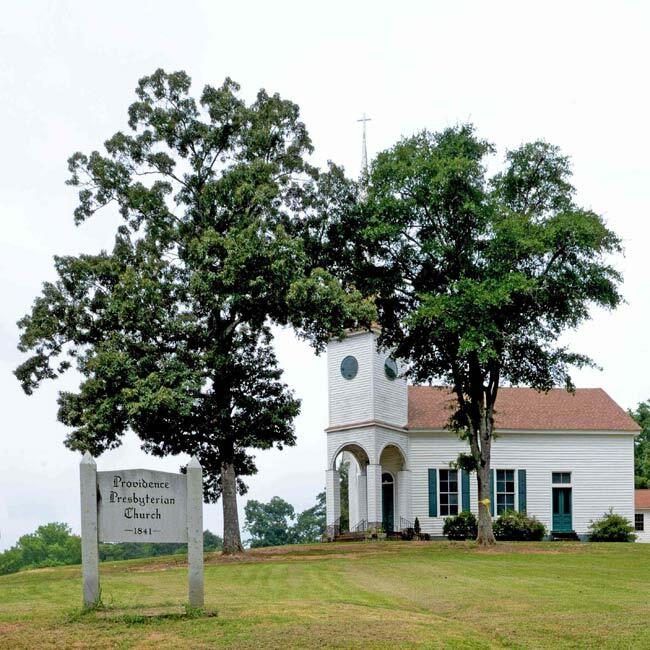 Providence Presbyterian Church in the Abbeville County town of Lowndesville was organized in 1841 as a result of the merging of two local smaller churches, New Harmony Presbyterian and Providence. The first minister to serve the church of 80 charter members was the Reverend John D. Wilson. 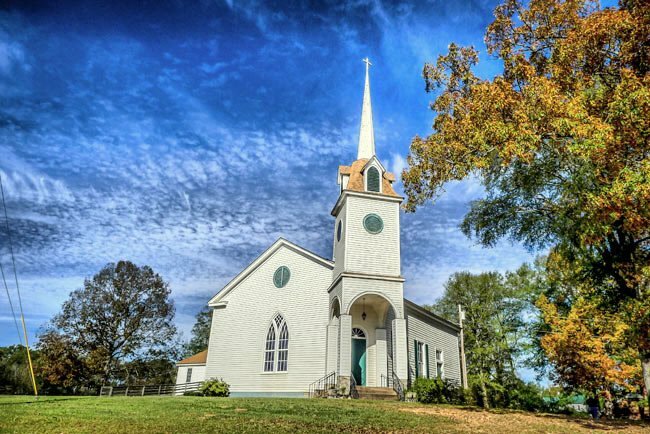 This church was built on two-and-a-half acres the following year and originally included a slave gallery as well as a separate entrance for slaves. Providence Presbyterian was significantly remodeled in 1886. Alterations included removing the slave gallery and adding the building’s corner entrance and campanile, or bell tower. The stove that was placed in the church in 1842 remains there today. Providence Presbyterian Church is a member of the Presbyterian Church (U.S.A.) denomination. 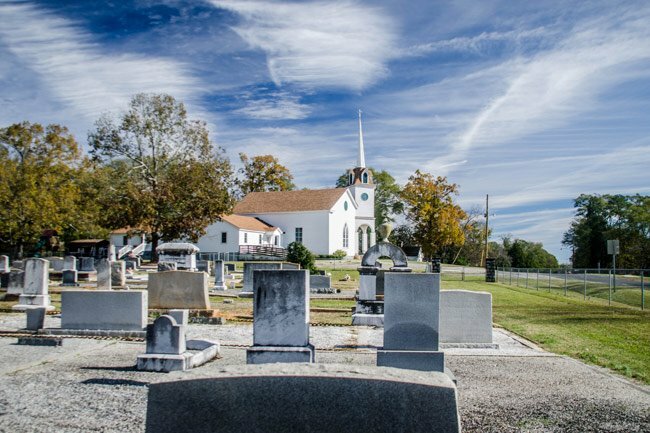 The churchyard sits about 100 yards from the sanctuary and spans around an acre and a half. The first interment dates to around 1845. It was protected with a fence in 1939. I wanted to know if Carroll Allen Bonds is buried there. His wife, Annie Mae Hutchison Bonds ,is buried there. I would appreciate if you could let me know. I am searching for the burial place of my grandparents, J.L. Daniel and Ella Daniel. They has two girls, Grace and Ruth. Both grandparents died before the children were adults. I would very much like any information concerning them. John L. Daniel gave my mother, Ruth, a book that has written in the inside, J.L. Daniel, Lowndesville, SC. Thank you for your help. What a unique 1886 diagonal entrance modification for this 1841 Presbyterian church.